It is the 21st century, and we maintain a lot of documents digitally to prevent piling our tables with paper documents. Paper documents today seem to be a thing of the past! 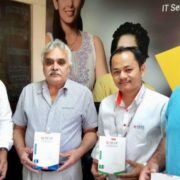 But when it comes to such convenient digital documents, those can be easily changed by somebody, who has access to it, unlike offline or paper documents, which is hard to modify, as a small mark of whitener will make it sure, the document has tampered. So when a lot of documents is maintained digitally these days, it is equally important to secure them and their contents in some authoritative way. Here in comes the importance of digital signatures, which offer great security to keep the digital documents safe. When it comes to digital signature, it isn’t that mere scanned signature that is present below a document, which can be easily tampered, copied, reproduced, all for the purpose of ill-usage. 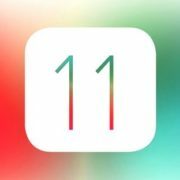 Digital signatures are a lot more complicated, and after reading this article, the subject of digital signatures should be clear to you. Digital signatures today are used everywhere to maintain the authenticity and integrity of digital documents. Due to the level of security, the digital signatures offer, they are globally accepted to safeguard online documents from getting tampered. 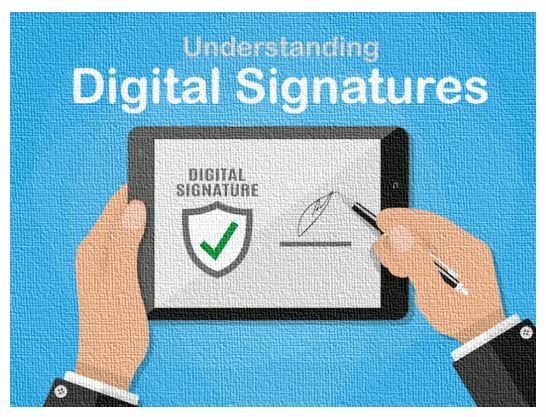 So let’s get started with different aspects associated with digital signatures. First, let’s discuss the basics of digital signatures. When you have a message, which needs to be transmitted, preserved, the first step is to convert the message into a hash. There are different algorithms, hashes are generated, the most popular among them are the SHA-1, SHA-2, SHA-3, MD, MD2, MD4, MD5, and MD6. 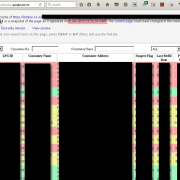 SHA-1, MD5, and MD6 offer better security, and that is the reason they are extensively used. The hash that is generated is always unique to a certain message, and a very small change, (for example, an extra space) can completely change the hash, making the users aware that the message has tampered somewhere in between. Let the hash generated for the message be ‘x’. The hash that is produced is now encrypted with the signer’s private key, which is always kept a secret to the signer or the signing authority. The reason, why the hash is encrypted, instead of the complete message is that hashes have a similar length, no matter how long the message is, and thus, less computing power is wasted encrypting the hash instead of the complete message, the size of which can not be predicted beforehand. Now the message along with the encrypted hash, and some other information, like the hashing algorithm used, the sender’s public key that acts as the digital signature is eventually kept or transmitted. Now the hash can be decrypted with the signer’s public key, which is known to the recipient of the message. Now the recipient or the recipient’s computer will decrypt the message with the public key to get the hash. The same hashing algorithm is now again implemented on the message received, and let the hash that is generated with the same algorithm be ‘y’. If the second hash i.e. ‘y’ matches the hash that was generated before encrypting the hash, i.e. ‘x’, the message isn’t corrupted. But if they are different, it means, the message has tampered, and the integrity of the message is lost eventually. So here, the hash and the algorithm used for hashing is used to examine the integrity of the data, and thus, it is the digital signature of the sender. How public and private keys are generated? Digital signatures work on the basis of public key cryptography or asymmetric cryptography, where two keys i.e. public and private keys are necessary. The keys are generated using a certain algorithm in a certain way, they are mathematically linked with each other. Among the different algorithms used for generating public and private keys, RSA or Rivest–Shamir–Adleman algorithm is the most popular one. 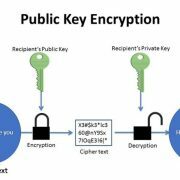 To know more about this you can read how public and private key encryption works article. Thus, digital signatures are quite reliable and it is one of the most trusted ways to examine the integrity and authenticity of a message. Digital signatures are versatile and can be used on all types of messages, no matter it is encrypted or not. Digital signatures can be used anywhere, where it is necessary to identify the sender of a message and check the integrity. So that was all about digital signatures. Hope everything about digital signatures is clear to you now. Do you still have any questions in mind about digital signatures? Feel free to comment the same down below.